How much pain is your child really in? Researchers have developed a piece of software that can accurately read kids’ expressions to measure how much pain they are in. The technology could be used to monitor pain and make sure that the right level of painkillers are given to patients so that they recover more quickly. 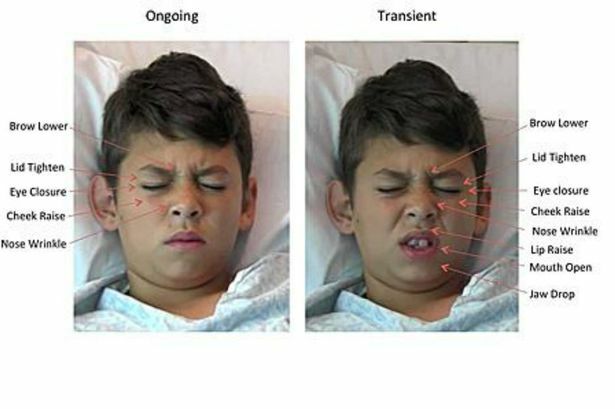 The software analysed the pain-linked facial expressions of children aged between 5 and 17 – all of whom had undergone an appendix removal procedure. Based on that analysis each patient was given a pain level score. The current best technique for measuring pain involves simply asking the patient to rate their pain on a scale of zero to 10. “But in paediatrics there is a limited population of kids who can answer that question in a meaningful way. Younger children can have difficulty – a two-year-old hasn’t developed the cognitive and conceptual abilities to think in those terms,” said lead researcher Jeannie Huang from the UC San Diego School of Medicine. This means that doctors sometimes have to rely on assessments made by nurses or parents – but it can be incredibly difficult to gauge pain in others, particularly children. Also, pain checks tend to be scheduled at specific times so may not coincide with when the pain is at its worst. Accurately gauging and controlling pain is important because studies have shown that the under-treatment of pain is linked to bad surgical outcomes.